Here’s a new game for the kids on the long drive between Phoenix and Tucson: Spot the big, green-and-white 18-wheelers driving by themselves. 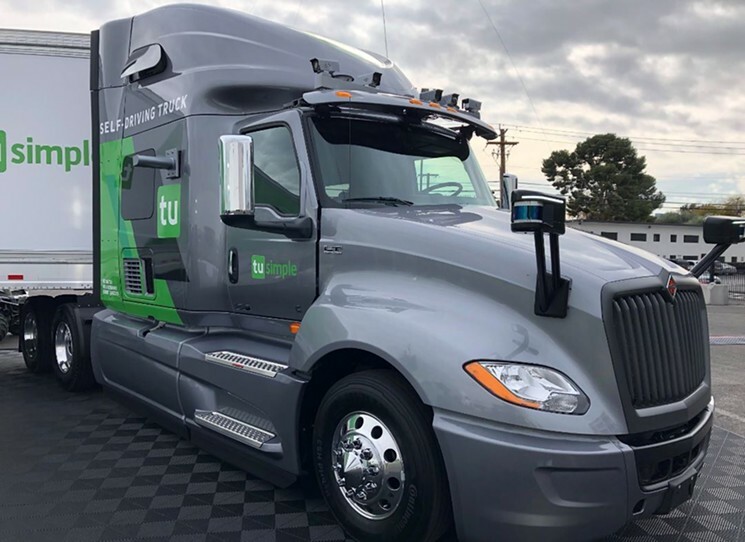 Chinese autonomous vehicle maker TuSimple said on Monday January 7 th 2019 it will roll out up to 40 fully self-driving tractor-trailers on Arizona roads by June. It’s part of a test of the vehicles that has been going on since last year with about a dozen vehicles, and the company’s ready to ramp up. TuSimple, with headquarters in San Diego and Beijing, already has clients who pay to have the big rigs haul consumer goods. The new vehicles added to the fleet in Arizona will service routes to and from Phoenix and Tucson, from Nogales to Phoenix, and will soon run from Phoenix to El Paso, said TuSimple spokesman Robert Brown. The trucks run three to five times a day in Arizona. The trucks don’t look all that different from a regular semi, except for the cameras above the cab. Most, though not all, have the attention-getting TuSimple logo. “If you pay attention, you’ll see us,” Brown said. The trucks have recently gained some experience in the rain, but are still limited mostly to daytime driving, he said. “Exactly one year after debuting our prototype system at CES 2018, we’re now running up to five commercial trips a day in Arizona, expanding our fleet and moving quickly toward our goal of creating the first commercial self-driving truck,” Xiaodi Hou, TuSimple’s founder, president, and chief technology officer said in a statement on Monday.